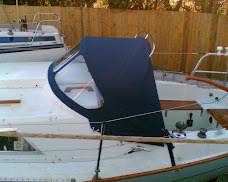 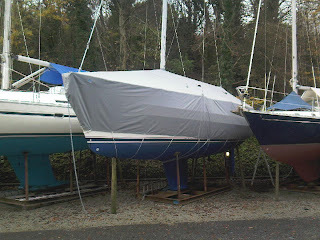 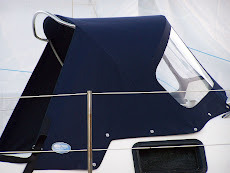 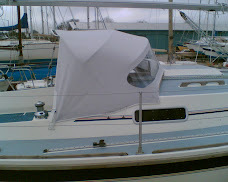 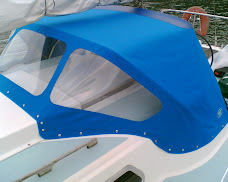 "Nanjizal" a Hallberg-Rassy 342, has the first of the Winter 2008 lay-up covers made in topgun fabric. 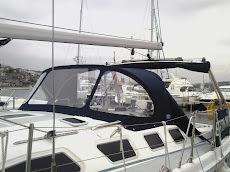 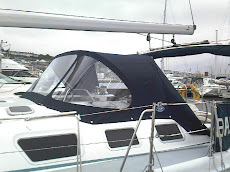 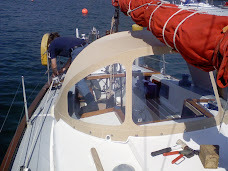 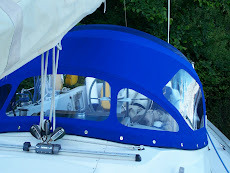 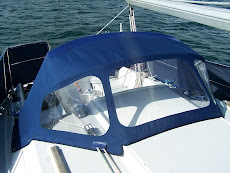 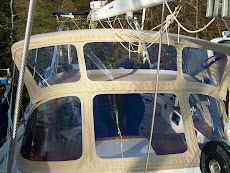 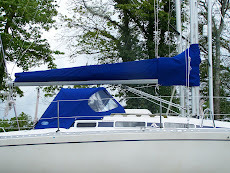 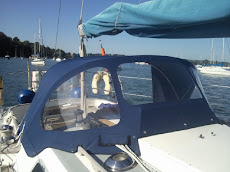 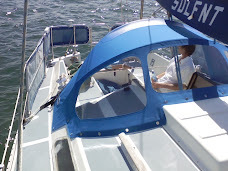 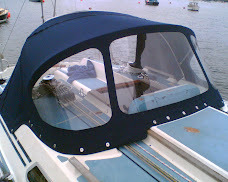 The aft end has a zip up doorway for easy access during the winter, and air vents on the top sides. 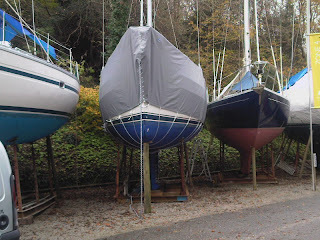 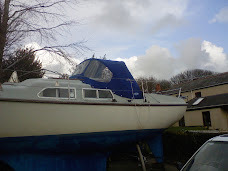 The boat will stay dry and clean all winter!